The stretch limo offers air conditioning, video, stereo, CD, fresh flowers and a privacy division. 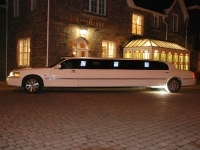 We are available for all functions be it corporate, anniversary, birthday, debs night or that special wedding day. We are a family run business based in the village of Dromahair in North Leitrim. With experience behind us, we cater for that special day and create the magical fairytale wedding of your dreams. 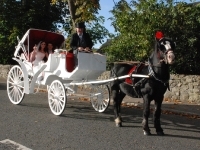 Our full wedding package offers you transport to and from the church, the hotel reception, photo opportunities and is topped off by our professional driver in top hat and tails. A complimentary bottle of champagne will leave you feeling like a princess on your big day. 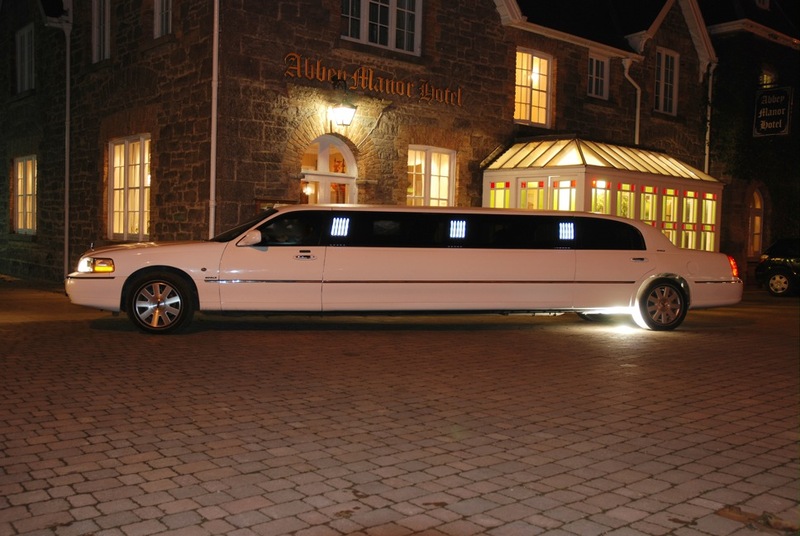 We are available for all functions be it corporate, anniversary, birthday, debs night or that special wedding day. We stretch to family nights out and airport runs. For weddings, we can arrange ribbons to match your colour scheme and a flute of champagne will be given to you as you emerge from the church to your car. Our professional and elegant cars will provide comfort, style and privacy. 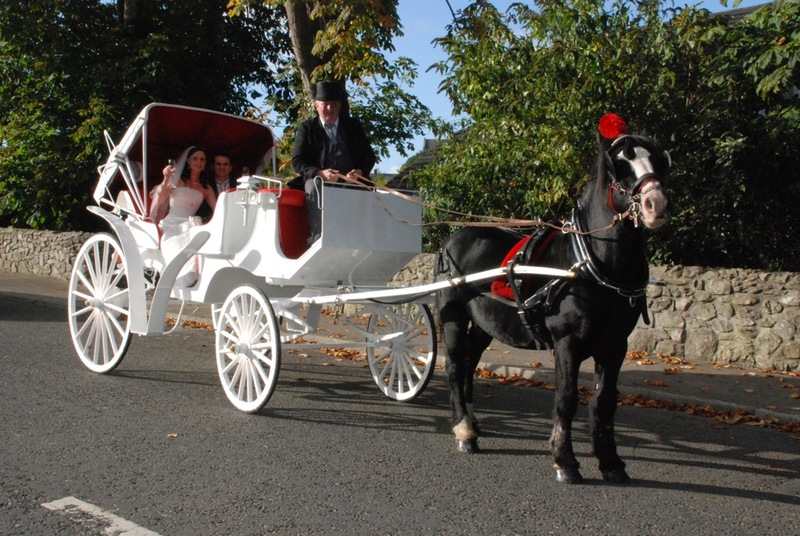 Our traditionally restored vintage carriages are designed to function whatever the weather conditions with a beautifully lined canopy, to keep the happy couple snug and warm inside. As tradition, our chaffeur will be attired in black top hat and tails. A complimentary bottle of champagne will have you feeling like a princess on your big day.